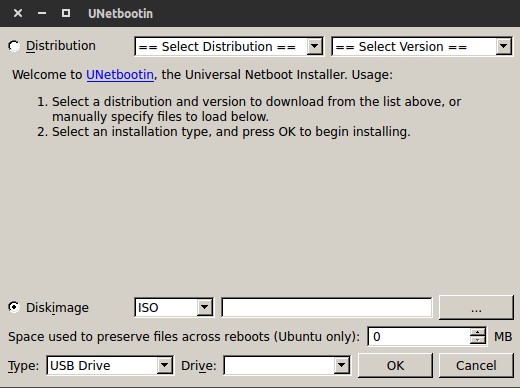 >A.Distribution: Let UNetbootin fetch the Select Linux Distribution files from the internet to put on your USB. Select a Linux Distribution > Select a specific Version > Make sure the correct USB Drive is detected and Click OK .
>B.Diskimage: Browse to an ISO and have UNetbootin copy it's contents to your USB. Browse to the ISO Image you would like UNetbootin to put on USB > Make sure the correct USB Drive is detected and Click OK .
WinUSB is a generic USB driver provided by Microsoft, for their operating systems starting with Windows Vista but which is also available for Windows XP.